First of all, I need to confess. I sort of failed with the spending freeze, but before you start judging and shaking your head at me, I only technically spent $5.00 after I used my, ever so handy, store credit. I mean, if I can go 30 days and only be out five bucks, I consider that a ginormous success and plan to pat myself on the back. Justification: This skirt is a versatile, staple item that I will wear for years to come. Realization: We all know that I will NOT wear this for years to come, but I will definitely get $5.00 worth of wear out of it. Whew, I feel better getting that off my chest. I will say, that maxi skirts are one of my favorites right now. Besides the fact that they are cute and comfy, they hide my prickly legs when I am too lazy to shave. Yes, I still shave my legs. I haven't jumped on the laser hair removal bandwagon and I am okay with that. Am I one of the last ladies standing that hasn't taken the laser plunge? Please tell me there are some of you out there that still get a little stubble. Cheers to confessions, hiding prickly legs and of course the trusty maxi skirt! Haha, I still shave my legs! I didn't even know there was a bandwagon to jump on?! Love the maxi and totally worth the $5! I love the skirt! And what a versatile color! I'm dying to find a maxi skirt, I'm still on the hunt but I love yours! And nope, still shaving my legs here too, and that's on a GOOD day. Stuble is a regular around these parts and I don't know that I'll ever get that laser business. $5 for that skirt was definitely worth the tiny interruption in your spending freeze! Loving the pleats. And I still shave my legs too...isn't the laser really expensive? LOVE that skirt! Absolutely worth cheating on your freeze! This entire outfit is just darling! And I love your braid! So cute! Haha I still shave my legs too. That maxi was definitely worth straying from your spending freeze! I love it! I shave! That's why I've been sticking to jeans and my maxi dress. It happens! Love this! I just got one in teal! love this outfit! especially with the belt! I still shave my legs...occasionally. I'm on Day 3 of my shopping freeze and holding strong. I do have a $25 The Limited credit that expires on the 22nd, so I may have to break the freeze...eek. $5 was totally worth it for that skirt. Super cute, darling! So glad you got the skirt! I want one too!! This entire ensemble is adorable!! haha love this post! I haven't taken the laser plunge yet either. I totally want to but I'm afraid it will be painful. The skirt is so pretty, and I love your braid!! Love this outfit! I have yet to find a good maxi skirt that I love. The hunt is on! You don't have to convince me.. Sold. High five yourself! Loving the pops of red with the neutrals:) Another super cute outfit! I love this skirt. The neutral color will be paired with lots of other lovely colors. AH, I am not the only one! I wear maxi dresses for the same reason. To hide what's overdo for a shave! Haha! So cute! Love the colors. Super cute maxi!!! I love it!! You are so cute, Shanna! Love the skirt! $5 is not bad at all! Good for you! 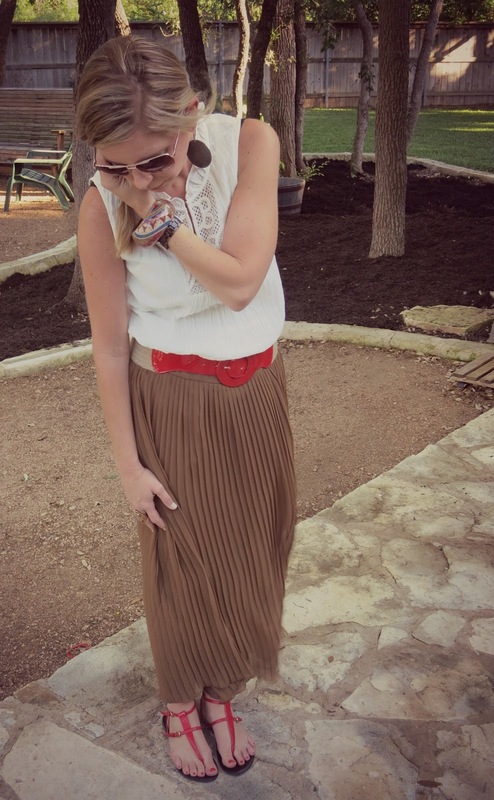 Maxi skirts are awesome, and you look adorable in that outfit! 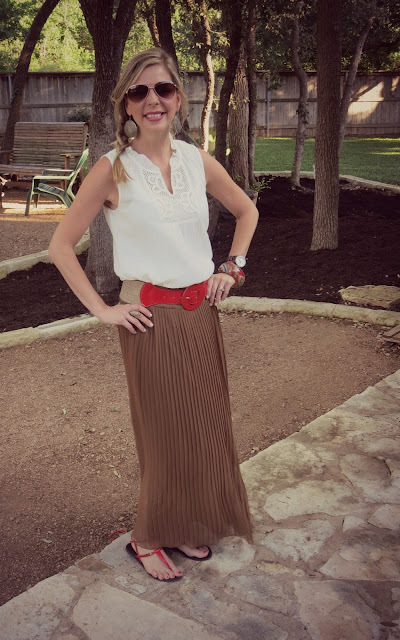 love this pleated maxi skirt. looks so cute on you! & love the red with it! Love this maxi! Super cute blog, by the way! Hi, Nice skirt.Nice post and the discount was amazing.Thanks for sharing with us. Yessss! 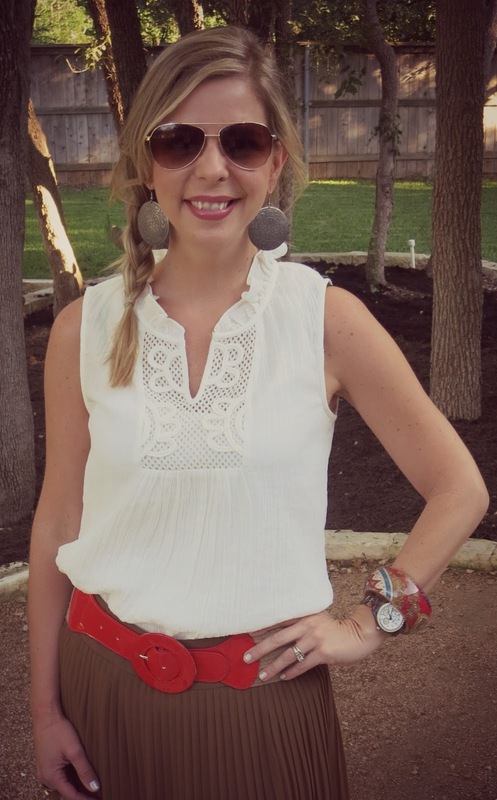 I love this skirt, and I love how you styled it with the red belt! fabulous outfit little miss!! I love it! LOVEEE this look!!!! Brown with Orange!! Definitely copying this! LOL! So funny! I'm one of those ladies also, haven't taken the plunge just yet.. I do hate shaving though! So I should! Love the skirt, you styled it very well. 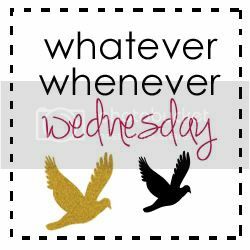 Hope your having a blessed Sunday! What a great skirt! I love you styled it all!